We are no longer processing boiler grant applications. 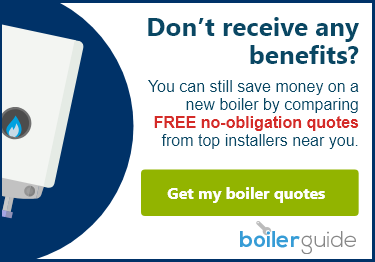 If you are interested in getting a new boiler without a grant, please visit Boiler Guide now to get quotes and compare prices. The Government led Energy Company Obligation Scheme (ECO) helps families who are on low incomes and in receipt of government benefits to reduce their energy bills. 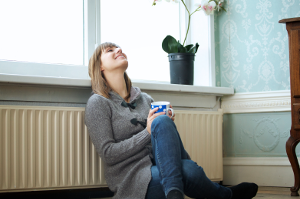 If you meet the criteria you could get a free grant towards a new, energy efficient boiler. All the big energy companies like British Gas, EDF, E.ON, Npower and Scottish Power are required by the government to help you save money on your heating if you meet the scheme criteria. The easiest way they can do this is to provide better insulation and more efficient heating for your home. If you’re eligible, the ECO government boiler scheme may provide funding towards a brand new, energy-efficient boiler. You won’t get a cash payout, but you may get a significant contribution towards a new boiler that will help you heat your home a lot more efficiently, and cut your energy bills. Unfortunately, funding for boiler grants (Gas, LPG, oil & electric storage heaters) is no longer available and we are unable to accept new applications. "To apply online is very easy. They don't bombard you with rubbish or phone you up 20 4 7. I applied online then they phoned me only once to (...)"
"Great communication with letting me know the next steps and dates for visits. Would highly recommend." "Fast, efficient and friendly service." "I applied online today and was called a couple of hours later by a lady called Elsa who gave me all the information I needed in a very helpful (...)"
Your current boiler is also considered – if your boiler is broken you can apply for a boiler grant to install a brand new A-rated boiler using a Gas Safe or OFTEC Boiler Grants installer. Finally, we can only help with ECO scheme applications for homeowners (however private tenants may be able to apply for the grant through other providers). If you have a different living situation, for example if you live in a council property, please contact your local council or the Energy Saving Advice Service for more information on help available to you. You can find out if you are eligible for a boiler grant by completing the Boiler Grants online form today. It’s really easy to do, and it’s definitely worth your while. Two or three minutes is all it takes, and you could be in line for a very useful new boiler grant! 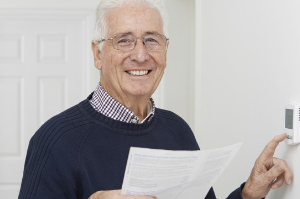 As long as you live in England, Scotland or Wales and meet the Government's criteria around your benefits, home type and the condition of your boiler you might be eligible for a boiler grant. If you aren’t eligible for a boiler grant, all is not lost. 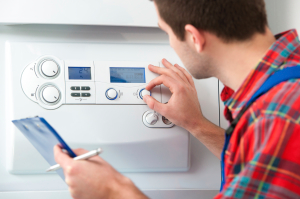 We have a number of other options available to help replace your inefficient boiler. How can Boiler Grants help? At boilergrants.co.uk we take your requirements and match them with pre-screened and consumer rated companies. We only use Gas Safe registered engineers. There is a range of fuel types covered by the ECO boiler grant scheme including gas, oil and LPG. You can now also apply for a grant to have cavity wall insulation installed in your home. Although funding is now limited for some fuel types (LPG and Oil) you may still be able to qualify for a free grant towards a gas boiler. There is a wide range of insulation grants available under the ECO scheme. You may be eligible for one (or even more) of them.